Investing is important for young people for many diverse reasons. Chiefly, if you wait to start investing until later in your career it means you have probably wasted many precious opportunities. When you are early in your career and you have started investing from your paycheck the chances you’ll be able to retire comfortably are greatly enhanced. The early career investment will give you an opportunity to develop healthy and responsible spending habits. Studies have shown that the earlier you start investing you will have a great deal more money at the end because of your experience, long term investment, and compounding factors. With the passage of time you’ll gain financial experience and can try various investment opportunities. Some of the most popular are: investment in stock, bonds and peer to peer lending. Finally, after retirement you can try angel investments provided you have solid experience and a substantial dollar amount. Below are some of the main advantages you can obtain if you have made reliable investments in the early days of your career. First and foremost, you’ll have time to grow your investment. It is not necessary for your investment will grow over night, it’s a positive if it takes some time. If you started contributing in your early career you have more time to allow your investment to grow. Compound interest is the best kept secret around and will surely give growth and added value to your portfolio. It goes without saying that getting a jump start really proves that time is money. Another great advantage of early career financial acumen is recovery. If you have lost some money there will be drastically less pressure to recover quickly. After careful calculation you have decided to invest a portion of your salary and if you have a downturn you’ll have time on your side to manage it again from your paycheck. You are playing with your own money so there will be no external pressure for making rapid recovery. Higher risk = higher return. If you are young you can take risks more easily because, in case of loss, you have plenty of time to recoup your losses and rebuild your investment portfolio. On the other hand, you can’t take as many risks if you are older because of time constraints from your age to recover. So being a young investor you can take advantage of risk without the reliance on the investment income of those at an older point in their lives. Smart and well timed investment decisions early in your career will really enhance your learning capabilities. From your earlier mistakes you’ll gain valuable knowledge that will improve your investment skills. In turn you can set your investment goals for the present that you’ll be able to achieve tomorrow. If you have properly managed your finances early you will enjoy a higher quality of life as you get older. Take it from us, investment in your early career will really give you the opportunity to learn and implement. By consistently adding money to your investment accounts on a continual basis your investment grows over time and there are more opportunities to build a diversified portfolio. The greater benefit of diversification is that you are much less likely to be hurt by individual portfolio losses. Perhaps one segment of your investment is currently at a loss which you will offset with another that is giving you a positive return. By spreading your money around you can hedge against possible losses easily. Diversification and hedging are much less risky if you start your investment career at the beginning of your employment career. That’s why it is strongly recommended to start investing, even just a little, as soon as possible to capitalize on the benefits of diversification. 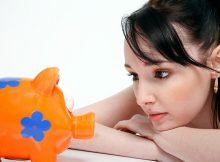 If your goal is to build wealth at a young age it is necessary to take a start today by making wise investment choices. Try to learn tips and tactics to develop long term investment skills. Time is as important as your capital for investment so utilize your time and money passionately to get the maximum returns.